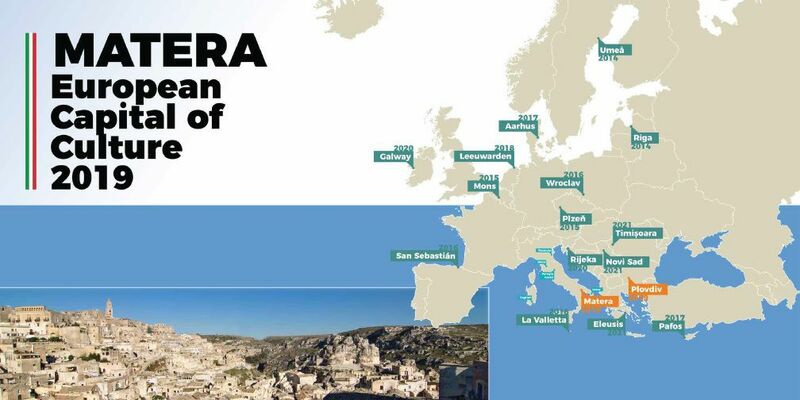 The City of Stones of Basilicata, Matera, will be the European Capital of Culture for the year 2019, together with Plovdiv in Bulgaria. While waiting for the official opening ceremony which will take place on 19 January, let’s take a look at the scheduled events. The chosen theme is "Open the future". Matera will represent for a whole year the entire region of Basilicata. On the opening day the bands of 131 municipalities of the region will arrive in the city. There will be marching bands in all areas of the city: Spine Bianche, Serra Venerdì, La Martella, Serra Rifusa. At sunset time, everyone will head towards the Sassi (Stones), until every alley of the Sasso Barisano and Sasso Caveoso is full of music. The event will be broadcasted live on Rai1. And the day after the inauguration, on January 20th, every local band will host a foreign one in their own town, in order to animate together the town center with a concert in the square. Those who will be visiting and staying in Matera this year could attend exhibitions and artistic events in their hotels without even leaving the door. 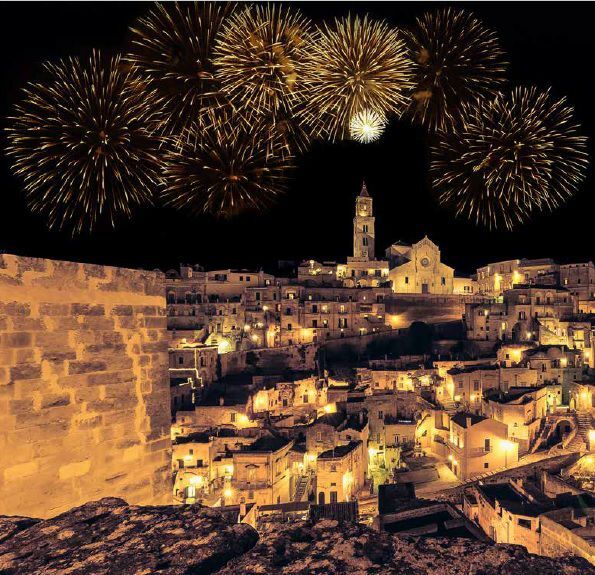 The streets of Matera will be illuminated every Saturday by the Social Light project which, taking up the tradition of illuminations, illuminates 15 points of the city. An outdoor itinerary traced by 200 works by Salvador Dalí will enrich squares and alleyways. 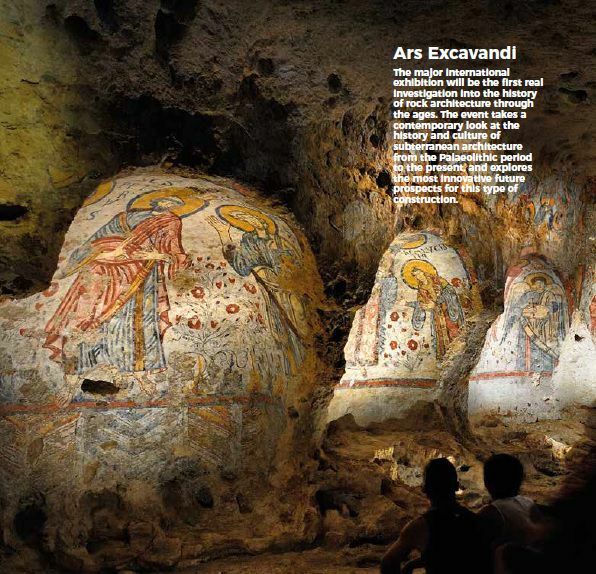 The smaller works will be housed within the rock complex of Madonna delle Virtù and San Nicola dei Greci. You will be able to discover unpublished corners of Matera with the Invisible Pavilions project and the refurbishment of some hypogeal spaces in the heart of Sassi Rioni, with a series of events and exhibitions that contribute to the dynamization of the same underground environments, recovered and returned to public use. There will also be space for gastronomy with Breadway, a festival of food and design expected in June which traces the supply chain that leads to the preparation of bread. Every day the Piccianello district will come alive with artistic performances, shows, narrative stations, installations, and workshops for citizens and visitors. The most important exhibition to visit will be "Ars Excavandi" hosted in the National Archaeological Museum until July 31, which deals with underground art, from the very first use of natural cavities with the incisions on the rock to the construction of caves, houses, monuments, canals, cities and landscapes. There will be also concerts in the theaters and in the open, readings and live artistic performances open to everyone throughout the year.